Stay comfortable and protected with our range of men’s short sleeve shirts from Craghoppers. With UV protection and Insect Shield technology by your side, hiking in the sun while staying protected from the elements has never been so easy. Offering optimum performance in all conditions, explore our men’s short sleeve shirts range below to find your favourite. Available in a range of colors and styles, our men’s casual short sleeve shirts are the perfect companion for exploring in the summer. Whether you’re tackling a trail or hiking the hills, the versatility of our men’s short sleeve travel shirts means that you’ll stay comfortable, stylish and protected – whatever your expedition. Cotton rich, lightweight and easy to care for, our checkered men’s short sleeve shirts allow you to make a bold statement this season. 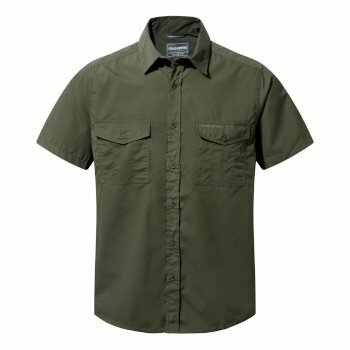 Available in a variety of colors combinations, sizes and fits, our short sleeve men’s shirts are the perfect addition to your wardrobe when searching for practical walking gear. 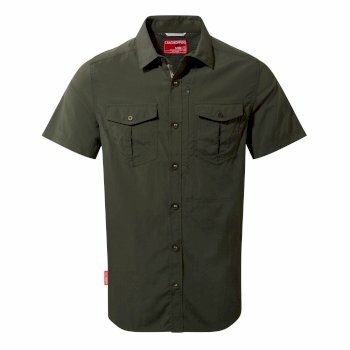 Protect yourself from harmful UV rays with built in Solar Shield in our selection of men’s short sleeve shirts. 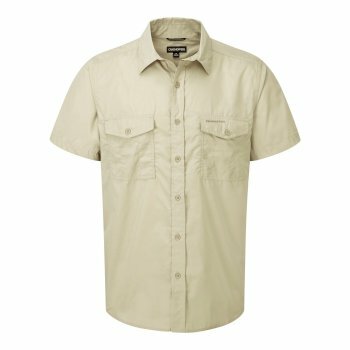 For instant insect protection to keep the biting bugs at bay, our Insect Shield technology delicately woven in the fabrics of our short sleeve shirts for men is your trusted companion. With an anti-insect technology that won’t wear away or fade, expect our Insect Shield properties to last as long as the lifetime of your short sleeve men’s shirts. All our men’s short sleeve shirts are designed to keep you safe and comfortable, so you can concentrate on the walk ahead.